Just in time for the weekend! Germany is generally thought of as the home of beer. Whether or not that is true is up for debate, but the fact remains, Germans like their beer. And if you're in the western part of the country, in one of the many wine regions, you will find that they also like their wine. Since we have been here, Aaron and I have been in multiple scenarios that involve Germans and alcohol. And it is from those scenarios that we have learned a few things that we would like to share with all of you, should you find yourself drinking with a German. 1. Don't try to keep up. They have been drinking more than you for longer than you (unless you're a Russian, which, come to think of, it, would be an interesting thing to watch - a German and a Russian squaring off....). I know that I can't keep up and don't even try. I still enjoy myself greatly, but my mornings are much nicer as a result. As an added bonus, no German has ever accused me of not being able to drink enough, or made fun of me for not being able to keep up. If you plan on day drinking with Germans, make sure your morning starts off with a hearty breakfast that includes lots of bread. Trust me on this one. On our first Karneval day, I did not eat my normal breakfast and it was all downhill from there. Until 6 PM when both of us passed out. Ok, fell asleep, but still, we were down for the count. Is it wine in a tumbler? It's probably a schorle, which is wine mixed with sparkling water. It's delicious and refreshing on a hot summer day, and if you're at a wine festival, drinking with members of a German drinking club (yes, these really do exist), these should probably be your drink of choice. Don't drink pure wine (which, in this case is a half liter per glass - that's nearly an entire bottle). Your head will thank you in the morning. Yes, I know it costs more than the beer, but trust me on this one. Remember this isn't a how to drink LIKE a German, it's how to drink WITH a German. The key is to survive the experience, and hopefully remember at least a part of it. Germans DO mix their beer with lemonade, Sprite, or some other fruit based beverage. They were originally mixed so that bike riders (aka, Radlers in German), could stay hydrated but not fall off their bike. While it may seem extremely odd, or even gross, at first, but it is especially refreshing on a hot summer day. And if you're in for a long day, these are always a good option. Do you have any tips, or things not to do, when drinking with a German? 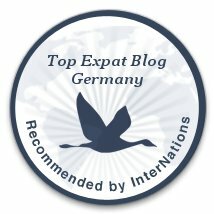 Has anyone drank with Germans before (and lived to tell about it)?